A beautiful collection of silk ties, all in extremely good condition, some new, some worn just once or twice. I've put them into categories for easy viewing. And for ladies, this silk would be beautiful inserted into hand made quilts. Think of a baby quilt with the Pooh Collection!!! Or the wildlife silk put into a quilt for an animal lover! 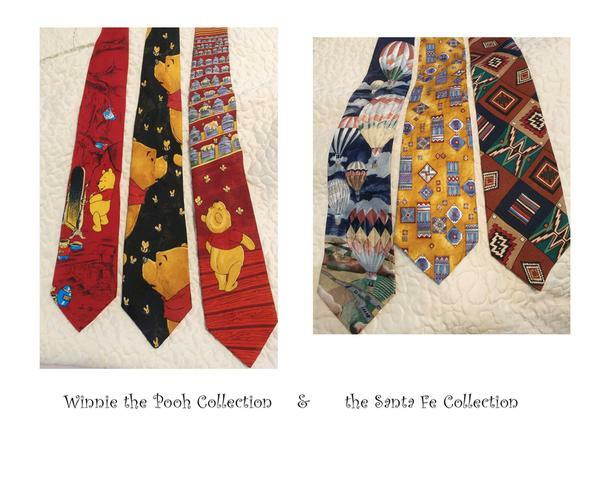 Price is $15 per tie with the exception of the Charles Schultz ties which I am asking $20 per tie.